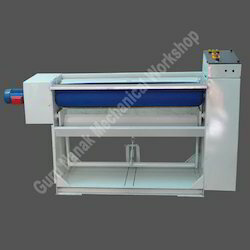 Available capacities: upto 6 ft roller length. 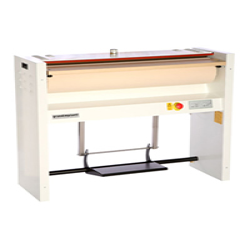 FABCARE latest Rotary Ironers have wide range to serve the textile, export, hotel and hospital needs. We are a top notch supplier of Rotary Iron. In order to meet excellent quality standards, we are supplying Rotary Iron. We manufacture a wide range of flat work rotary irons that are used for carrying out laundry jobs in Hotels, Hospitals, Hostels and Textile. Our range maintains certain pressure between the bed and roll. The surface temperature is controlled up to 180oC that results in wrinkle and crease free clothes.